Board members reflect a cross-section of the community including government, industry, academia and community representatives. When do I need a licensed surveyor? How do I find a licensed surveyor? The Surveyors Registration Board of Victoria website does not provide contact details for Licensed Surveyors in Victoria. However, we have provided links to several other websites that do. How do I check if a licensed surveyor is registered? If you have found a licensed surveyor and you want to check that he or she is registered, you can check the Register of Licensed Surveyors. Who is NOT a licensed surveyor? A licensed surveyor, a surveyor who is authorised to perform cadastral surveys, is the only person legally entitled to undertake a survey to define and mark the boundaries of your property. Licensed Surveyors are registered by the Surveyors Registration Board of Victoria. Any person, not being a Licensed Surveyor, who undertakes a boundary definition survey (a cadastral survey) is liable for prosecution, as such a survey is illegal, and would have no legal standing. Architects, building surveyors, building inspectors, builders, fencing contractors, property developers, engineers, landscape gardeners, engineering surveyors, mining surveyors, marine surveyors, statistical or market surveyors, people who produce plans, people who produce maps, utilities tradespeople. To renew your registration as a licensed surveyor, you must pay a renewal fee and submit an activity statement of your Further Professional Education or Training (FPET) undertaken during the year. All Licensed surveyors are required to pay registration fees. The current fees are set out in the Surveying (Registration Fees) Regulations 2015. Where can I find out about Further Professional Education or Training (FPET)? Section 7 of the Surveying Act 2004 requires a licensed surveyor to undertake Further Professional Education or Training (FPET) in cadastral surveying in accordance with a determination of the Board. The Board sees FPET as playing a fundamental role in preserving the high quality of cadastral surveying in Victoria. Where can I find key documents for surveyors? Key documents include the Survey Practice Handbook, Surveyor General's Publications and Key Legislation for Surveyors. How do I gain registration in another State? Licensed Surveyors from Victoria may apply for registration in another State or Territory of Australia or New Zealand under the provisions of the Mutual Recognition Act 1992. How do I become a supervising surveyor? A Supervising Surveyor must be a licensed surveyor who has been registered for at least three years in Victoria and cannot have more than two concurrent Professional Training Agreements. How do I become an examiner? Board appointed examiners assess projects and surveys (submitted by candidates in Professional Training Agreements) for compliance with regulations and cadastral surveying best practice. Update your contact details online by entering your registration number and password you have been provided by the Board. How do I become registered as a licensed surveyor? To qualify for registration as a licensed surveyor you will need to pass the Board exams, undertake practical training under supervision, and complete an approved course of study. What do I need to know about professional training agreements? A Professional Training Agreement (PTA) is a formal agreement that documents a structured training program for a Graduate Surveyor to achieve all the competency levels required by the Board for registration. A Graduate Surveyor needs a licensed surveyor to be their Supervising Surveyor. A Supervising Surveyor must have been registered in Victoria for at least three years and cannot have more than two concurrent Professional Training Agreements. What are the examination and registration fees? All licensed surveyors are required to pay registration fees. There is no fee for registering a Professional Training Agreement with the Board. Fees apply for written and oral examinations. The current fees are set out in the Surveying (Registration Fees) Regulations 2015. I am from outside Victoria, how can I gain registration in Victoria? If you are registered as a licensed surveyor in another jurisdiction (national or international), you may apply for registration in Victoria under the Mutual Recognition Act 1992 or via the Bureau for Assessment of Overseas Qualifications (BAOQ). 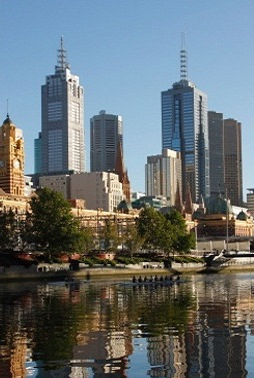 What is the role of Surveyors Registration Board of Victoria in relation to complaints? It is the Board's responsibility to investigate the professional conduct of licensed surveyors. The Board has in place a Policy on Handling Complaints to ensure fair, accountable and accessible complaints and disciplinary processes.